Yummy! I love green beans… Salads, casserole, stewed green beans with different kinds of toasted nuts… But this pesto is my favorite recipe with green beans! 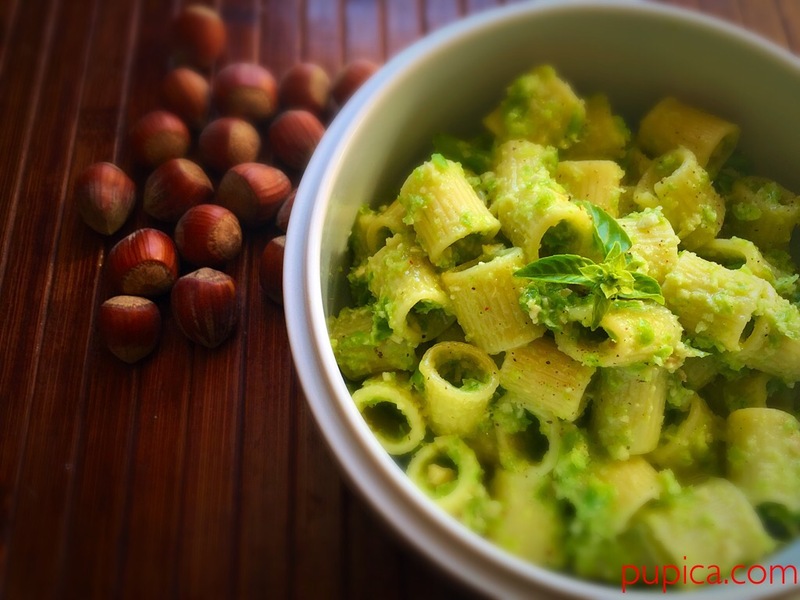 Classic Italian Pesto is made with basil and pine nuts and it the most known pesto today, but I love experimenting, so I use all kinds of vegetables, nuts and seeds to make some creamy pesto at home. As I said before this is my favorite one, but I will post other delicious pesto recipes so you can give it a look, like kale, zucchini and baby spinach pesto (this one is super, mega delicious) 🙂 Stay tuned! Not to mention that as in other recipes, the quality of the ingredients is one of the most important things. 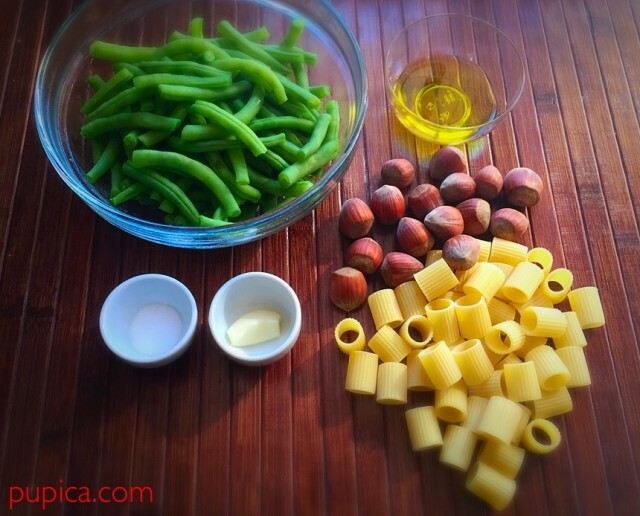 Use a good quality extra-virgin olive oil with a buttery and spicy peppery taste, buy fresh green beans, possibly organic ones, I prepare this recipe only during the green beans season and then put it in jars and freeze it. Frozen jars of pesto are good for 6 – 9 months. So if I’m in a hurry or my husband is home alone (he doesn’t cook at all), these delicious pesto recipes are ready to use. 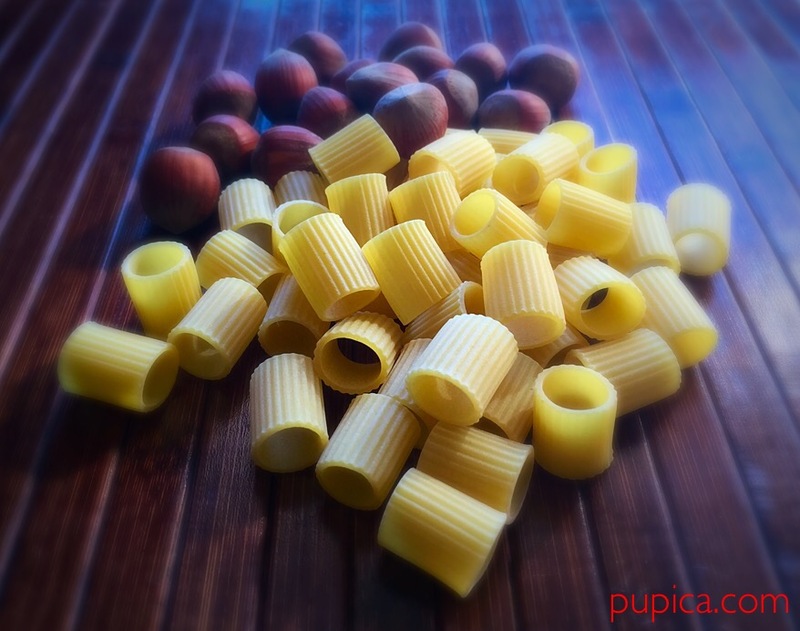 If you don’t like hazelnuts, you can prepare it with toasted pine nuts or almonds. For removing the skin of hazelnuts, I put them in a pan of boiling water for 5 minutes and peel them easily (roasting method is not my favourite one). I put only one garlic clove because I’m not a fan of garlic, it enhances the taste of numerous dishes, but I have a stomach ache after eating it, so sometimes I toast it in a non-stick pan or in the oven, so it will have far less pungency. Any type of pasta goes well with this pesto, but I prefer Rigatoni and Spaghetti N°5. 1Trim the ends of green beans and cut them in half. 2Put the green beans into a large pan of salted boiling water and cook for about 10 minutes, until they are fork tender, but still crispy. 3Toast the hazelnuts in a non-stick skillet until golden. 4Put the pasta in the large pan of salted boiling water and cook as indicated on the package. 5In the food processor put the green beans, basil leaves, hazelnuts and pulse a few seconds. 6Then add minced garlic, Parmesan cheese and pulse again. Slowly add extra-virgin olive oil while the processor is on. 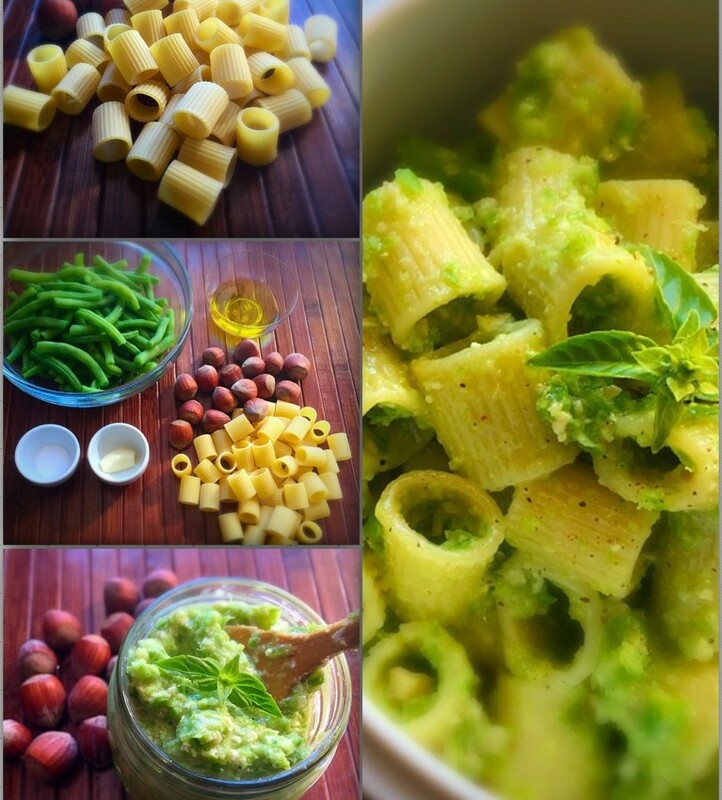 8Mix the pasta with the green beans pesto and toss gently to coat. If you don't like garlic, you can do the pesto without it. You can change the amounts of each ingredient as it suits you.